The deadline to come up with a new budget and convince the United States Congress to raise the debt ceiling in August 2nd. 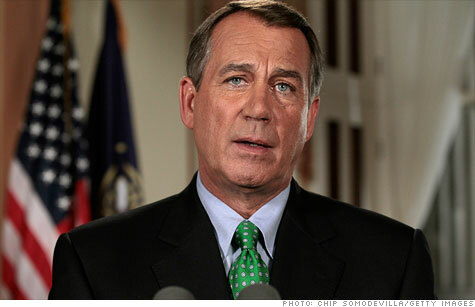 With just days remaining, Speaker of the House John Boehner is starting over. Boehner said he would rewrite his plan to make sure that spending is cut more than the debt ceiling is raised. Currently, the Budget Control Act of 2011 is set to scale back the national deficit by $851 billion in the next decade. Boehner’s plan is expected to make room for $900 billion instantly. The only other option right now is one drawn up by the Democratic Party members of the Senate. According to the Congressional Budget Office, with Boehner’s plan, the majority of the deficit decrease would come as a result of limiting discretionary spending. The rest would come from curbing the interest rates on the debts. Some Republicans are saying that Boehner’s plan does not fully fall in line with the Cut, Cap, and Balance Act. As the next few days progress and Boehner’s new plan is made public and is discussed in Congress, a true assessment could be made and the realism of a potential plan could be judged.